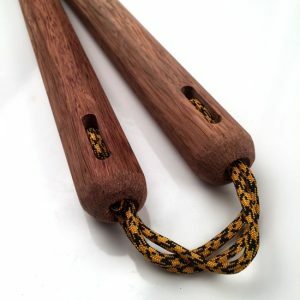 (Back in Stock March 15th) These training weapons are made of top grade and match real weapons in length, size, weight, and feel. 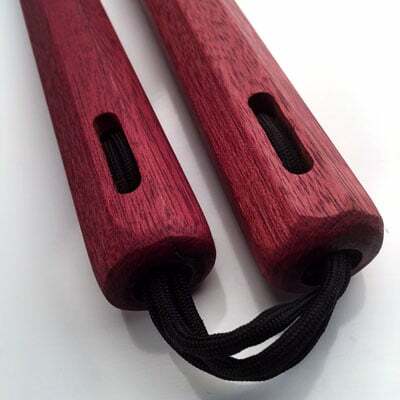 These 12″ Purple Heart Octagon Nunchaku are constructed to be durable, cut resistant, and remarkably stiff, which allow martial artists to master techniques, footwork, and the basic stances. 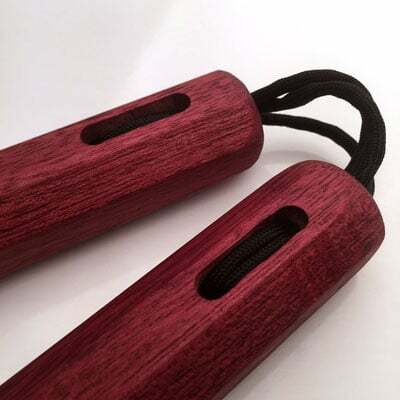 USA Nunchaku’s PurpleHeart Nunchaku are made from Purple Heart these nunchaku are all are handmade, shaped, oiled, sanded and strung. Purple Heart is one of the hardest and dense woods we use. 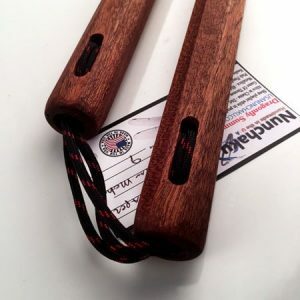 It is also one of the most difficult to cut, shape and work with which is one of the reason for it’s price. It is very hard and has deep grains. 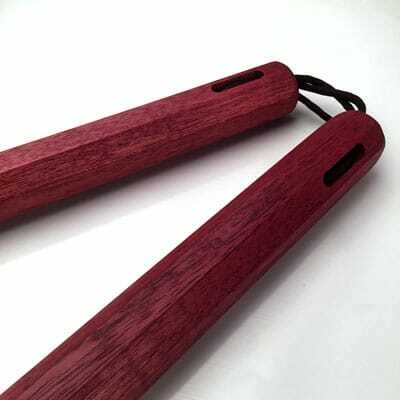 The color is normally a light and dark purple also with some small hints of red hue. 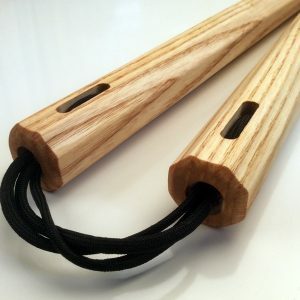 Since this model is so popular they will be featured from now on with the standard 3 rope tie in the 12″ lengths. 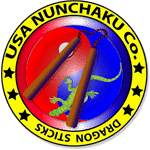 Like all of our nunchaku each of one of kind. 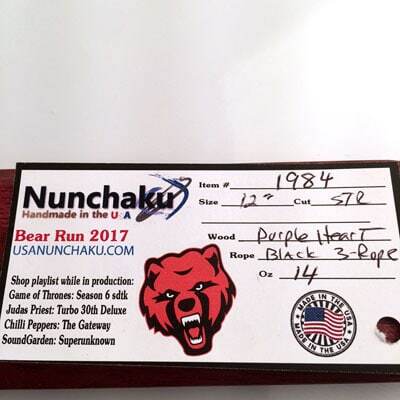 100% made in the United States. 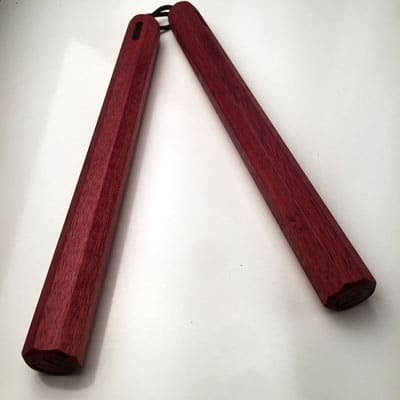 Unlike mass produced martial arts weapons made overseas, we designed our PurpleHeart Nunchaku to be easy to hold, not get sticky and give you confidence as you practice your forms. 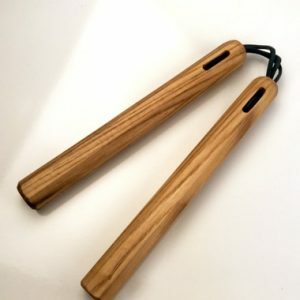 Originally the nunchaku was designed from farming tools in China. Occupied Chinese were not allowed to have weapons and a whole range of new weapons sprung from the tools at hand. 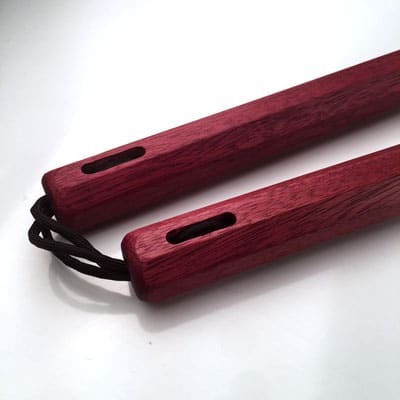 Our nunchaku are not mass produced, each one is made one at a time. We use exotic hardwoods and try to get every inch of wood used in our product. Some of these woods are hard to find in usable sizes so we take great care to get the most out of each piece. The design is to last and be durable. We take out the least amounts of wood to keep them strong and use rope that will only fill the voids to make them easy to repair. We have re string kits available as well as instruction as to how to re string our nunchaku when it becomes necessary.